BOSSIER CITY, La., January 28, 2015 – How do you handle a monster job? You call in your own monster: “Archzilla” from McElroy Metal. 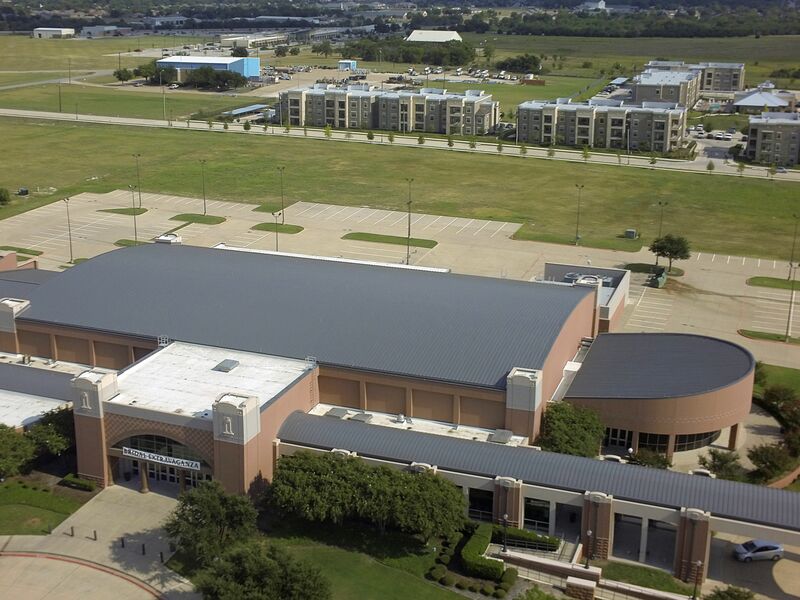 The original barrel roof on the Waxahachie Civic Center in Waxahachie, Texas, was improperly installed. Among the details that caused problems from the start were open laps, missing clips and back-water laps. After battling more than 70 leaks and experiencing a decline in business, the City of Waxahachie was faced with repairing water damage and solving the problems. 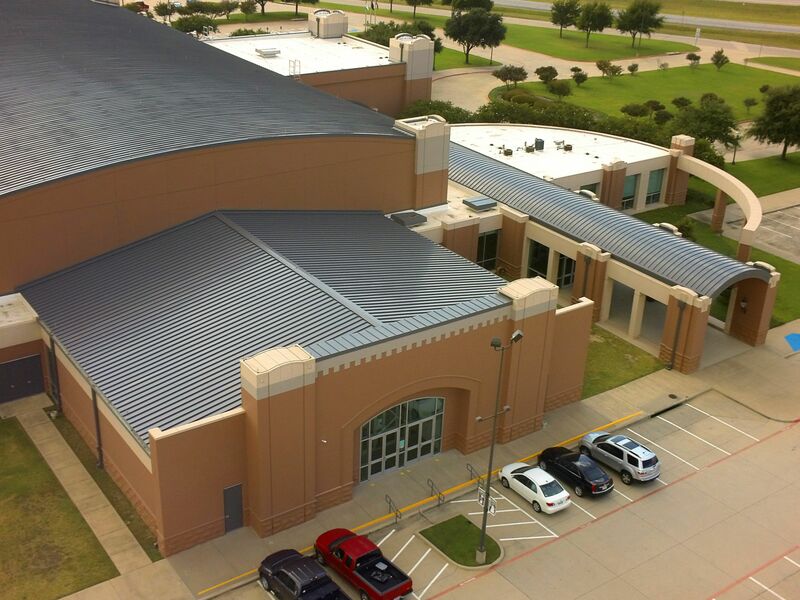 The larger main barrel roof section was roofed with McElroy Metal’s 238T panel, a 2-3/8-inch high, two-piece, mechanically seamed symmetrical metal panel. The smaller barrel roof sections were topped with the company’s 138T panel, a similar profile, but 1-3/8-inches high. The 138T panels were installed on the smaller roofs because the 238T could not be curved to that radius. Symmetrical standing seam systems have matching left and right legs, as opposed to the traditional male and female legs. The panels are joined with a mechanically seamed cap, which more easily allows for single-panel replacement if a single panel is ever damaged. The matching legs allow for installation to be completed in either direction or from the center out. The full length panels also allow for expansion and contraction in both directions. The system is quickly becoming a popular way to retrofit a metal roof. Enter Archzilla. Archzilla is a roll former attached to a scissors lift that elevates the roll former to the eaves. 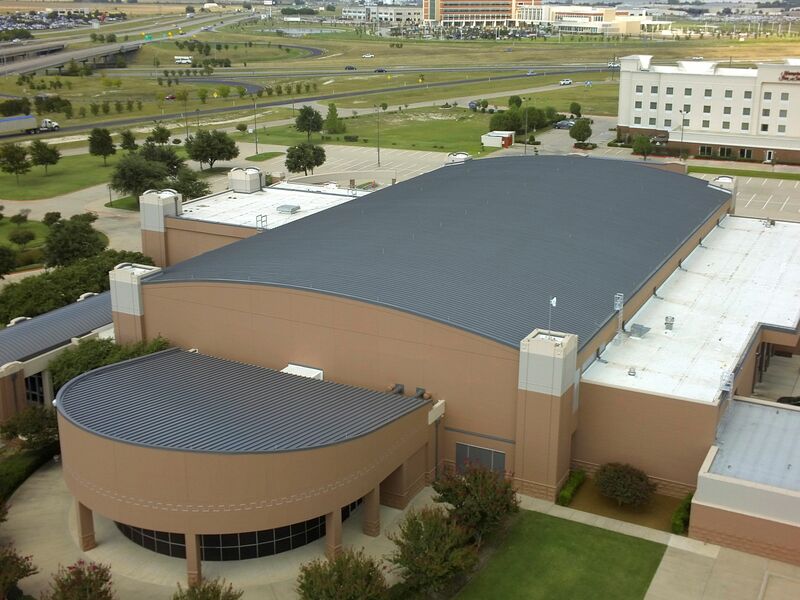 The panels – more than 115 feet long on the Waxahachie Civic Center – run off the machine at the eaves, where installers are ready to carry them over the peak to the opposite roof edge. 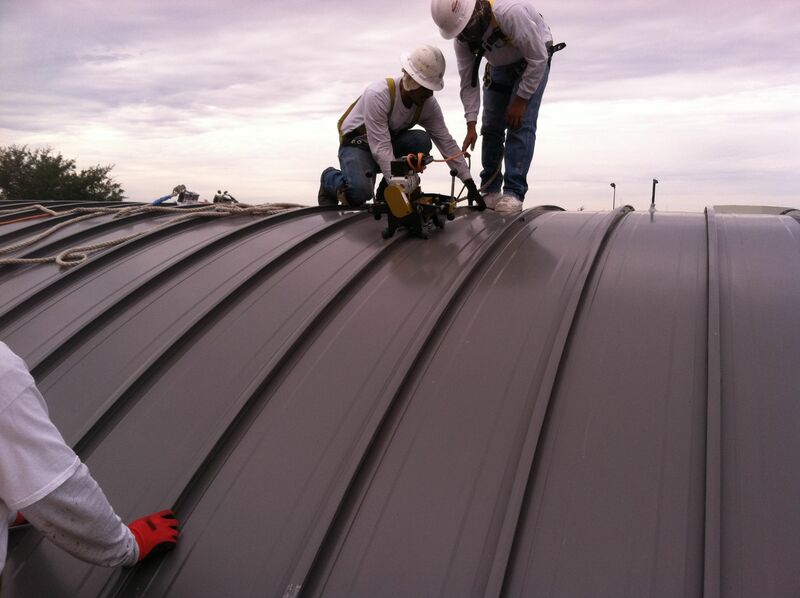 Panels that long require 15-20 workers to safely handle and place the new roofing, even in the best conditions. BRI Roofing was up to the challenge of installing the barrel roofs. The only on-the-fly change was to add backer rods to the substrate under each panel to mitigate the appearance of oil canning on the barrel roofing. 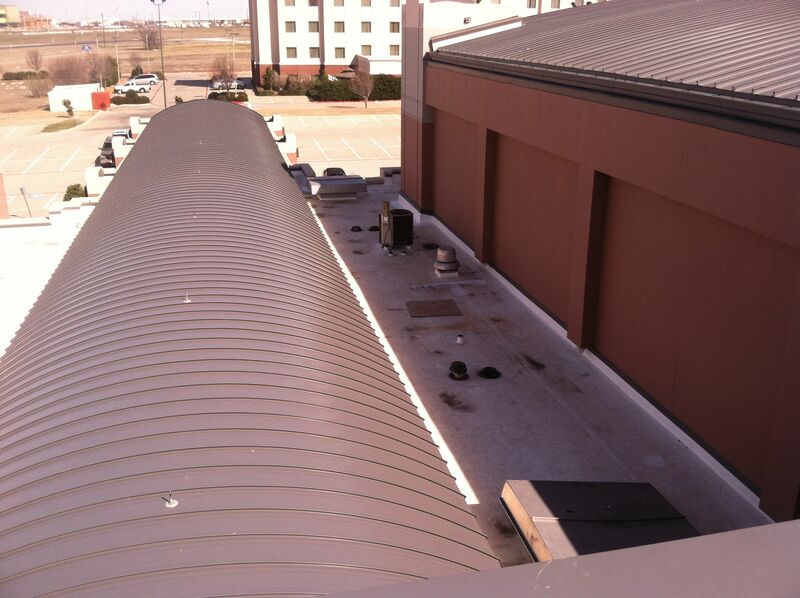 The result was a properly installed and aesthetically pleasing – and leak-free – metal roofing system.